The number-one way to reduce plastic waste is to cut back on the amount we use in our daily lives. Few of our plastics make it to recycling centers — the Environmental Protection Agency reported in 2015 that just 9 percent of all plastics were recycled. “Compared to the average American, every year of zero waste living, I’ve saved on average about $6,000,” Kellogg tells NBC News. 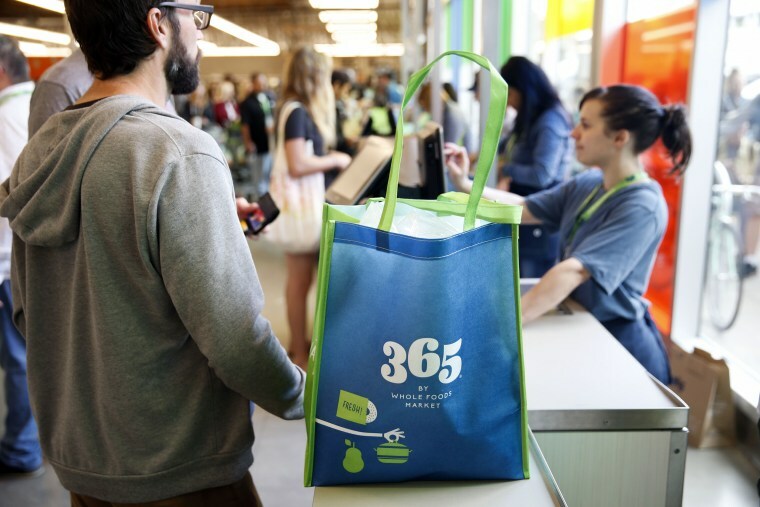 Many grocery stores sell tote bags, but Kellogg recommends BagPodz — reusable bags that come in one compact “pod” designed to cover a whole trip to the store, according to the company’s website. “They have been my favorite thing because it’s just set up perfect for grocery shopping,” Kellogg says. Singer, who owns Package Free Shop, a zero waste retail store in Brooklyn, says buying unpackaged foods from a farmers’ market or all-bulk grocery store (if you happen to live near one) can eliminate even more plastic. “I always go with my reusable bag and my jars for filling things up,” she says. If you’re someone who purchases water in plastic containers regularly, an easy way to reduce plastic is to invest in a water filter. “It’s such an easy swap,” says Singer. If that’s not possible, says Kellogg, ask if they will let you bring your own plastic-free containers. Swap liquid soap for package-free soap, usually found in farmer’s markets and in some grocery stores, recommends Kellogg. For Kellogg, an actress who performs regularly in plays, makeup is a necessity. To reduce her makeup-related plastics, she implements a “1-in-1-out” rule. For example, she only buys new lipstick when she runs out, and doesn’t buy any beauty products other than the lipstick she needs to replace. If you’re a city dweller, she says, you may need to rely on a local community composting program. “I bring that to the farmer’s market every Saturday, and they have a community compost collection program,” she says.